Let me start by stating that here in the UK, we call Waldo Wally. And as I’m writing this post at my desk at Pi Towers, Cambridge, I have taken the decision to refer to the red and white-clad fellow as Wally moving forward. There’s Waldo is a robot built to find Waldo and point at him. The robot arm is controlled by a Raspberry Pi using the PYARM Python library for the UARM Metal. Once initialized the arm is instructed to extend and take a photo of the canvas below. Both in his work and personal time, Matt Reed is a maker. In a nutshell, he has the job we all want — Creative Technologist — and gets to spend his working hours building interesting marketing projects for companies such as Redbull and Pi Towers favourite, Oreo. And lucky for us, he uses a Raspberry Pi in many of his projects — hurray! With There’s Waldo, Matt has trained the AutoML Vision app, Google’s new image content analysis AI service, to recognise Wally in a series of images. With an AI model trained to recognise the features of the elusive traveller, a webcam attached to a Raspberry Pi 3B snaps a photo and the AI algorithm scans all faces, finding familiarities. Once a match for Wally’s face is found with 95% or higher confidence, a robotic arm, controlled by the Pyarm Python library, points a comically small, plastic hand at where it believes Wally to be. We’ve started to discover more and more deep learning projects using Raspberry Pi — and with the recent release of TensorFlow 1.9 for the Pi, we’re sure this will soon become an even more common occurrence. 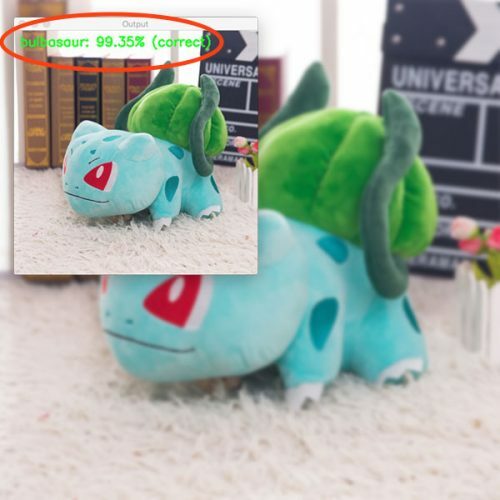 For more projects using deep learning and the Raspberry Pi, check out Adrian Rosebrock’s deep learning Pokédex, and his Santa Detector. And for more projects from Matt Reed and the redpepper team, you can follow Matt’s Twitter, visit his website, and check out his community profile in The MagPi. What I find issue with is the idea that you train on some big powerful machine, and then the Pi just recognizes off the trained data. The Pi should be able to do training as well as recognition, and even then, recognition should also always include some kind of reinforcement. Otherwise it’s just a static model, and we never really get to see how much better it can get. That’s how you recognize stuff that’s not directly in the training set. Now to train it to do the page that has loads of Wally lookalikes (the only page I haven’t completed myself.